So you would like to start a vegetable garden? Good choice! Having your own vegetable garden brings many benefits. 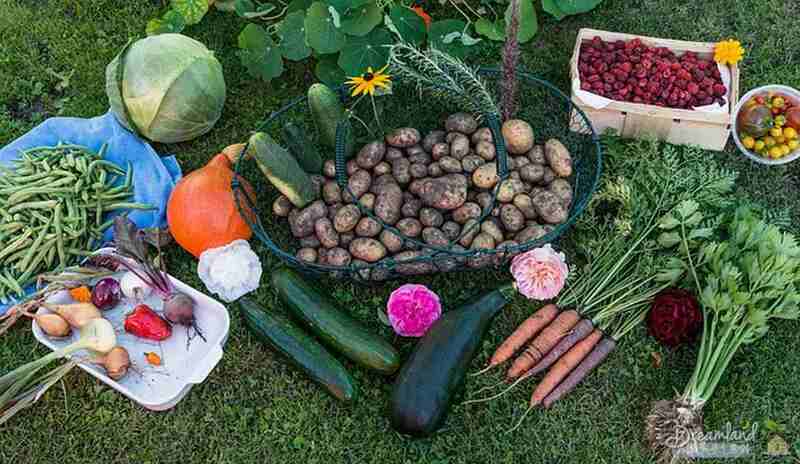 You can have your own produce store right in your backyard without paying supermarket prices. Plus, by growing your own vegetables, you know exactly what goes into them. And finally, with the great variety of vegetable seeds and plants available to home gardeners, you get produce that simply tastes better. The biggest hurdle that new vegetable gardeners face is how and where to start. In this series of posts I will attempt to help you put aside your fears and take action. We’ll start with site selection and move on to size considerations. We’ll finish with site preparations leading to the goal of having a garden ready for planting. So, grab a cup of coffee (or your favorite beverage) and let’s get started building your first vegetable garden. This is perhaps the most important step in starting a vegetable garden. Many, if not all, vegetables require full sunlight throughout the day. If possible, your site should be situated in an open area that receives at least six solid hours of direct sunlight. Anything less and your results will be sub par. The slope of your potential vegetable garden site is important as well. Try to pick an area that is level. I know many gardeners who grow on a slope and that is fine if it is your only option. The problem comes in, though, when you water or your garden receives rainfall. On a slope the water applied will tend to run off to the lower portions of the garden. Common sense, I know, but some people are not aware that this could cause a problem. Your soil in the upper areas will tend to dry out quicker while the soil downhill will remain wetter and could lead to rotting issues with the roots of your vegetables. Therefore, it’s always advisable to choose an area that is level. What about soil conditions? Well, that should be a consideration too. If you have a garden plot picked out and it contains many rocks you will have a tougher time preparing the soil in the first few years. I have this problem at my home. But, by removing as many rocks as I can each spring, I have been able to form a vegetable garden that has quite good soil. Sandy or mucky soils should also be avoided where possible. Sandy soils tend to dry very quickly as they do not have the holding capacity for water. Nutrients are also an issue on sandy soils. Nitrogen in particular is very mobile in the soil meaning it is carried down by irrigation easily. Plus, the nature of a sandy soil does not allow for much holding capacity of nutrients in a similar way as with water. Mucky soils, those high in clay, tend to work in just the opposite way as sandy soils in terms of water holding. They are often wet year round and will bring many problems for vegetable roots such as rotting and a lack of air transfer. In summary, try to pick an area for your vegetable garden that gets plenty of sun exposure, is free of rocks, and does not have too much sand or clay. Sound like the perfect garden? It is! I would be willing to bet that your location won’t be perfect. Mine never have. However, don’t despair if you are limited to a less than ideal vegetable garden location. Many of the issues can be dealt with as long as you know what you are up against. The biggest step is to choose a spot and start working. Before we move on to site preparation, you should consider how big you want your garden to be. If you are limited in regards to space, this section may not be of much concern to you. You already know how big your garden can be. If you have plenty of room then now is the time to think about the size of your vegetable garden. I have a couple of tips below to help you decide. How Much Produce do You Need? 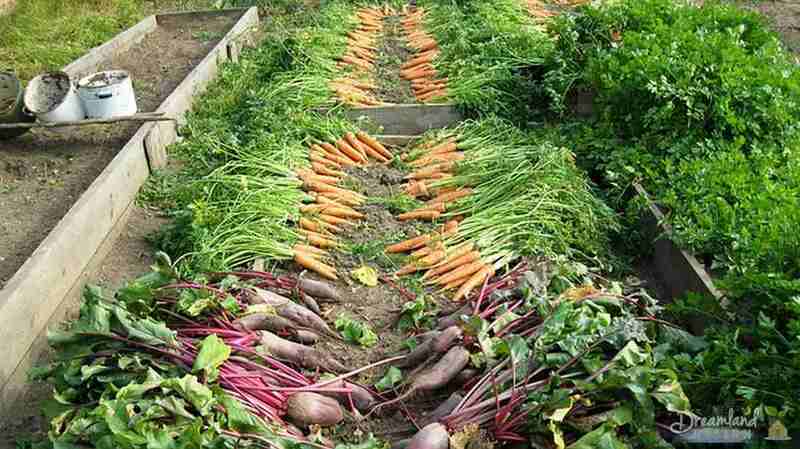 The amount of produce you wish to grow is the first big factor. If you are only growing tomatoes, for example, and you know you want to have enough tomatoes to eat some fresh and put some in the freezer for the winter there is a way to correlate that desire with garden size. Each tomato plant should be given 18 square feet for optimum growth. This translates to plants spaced three feet apart in rows that are six feet apart. Given average growth potential, each plant should produce at least 5 to 10 pounds of tomatoes as a general guide. Let’s assume that you want to eat maybe 10 pounds of tomatoes fresh (that’s about 20 to 25 tomatoes depending on the variety) and you want to freeze another 20 pounds for a total of 30 pounds, you would need to plant 3 to 6 plants. 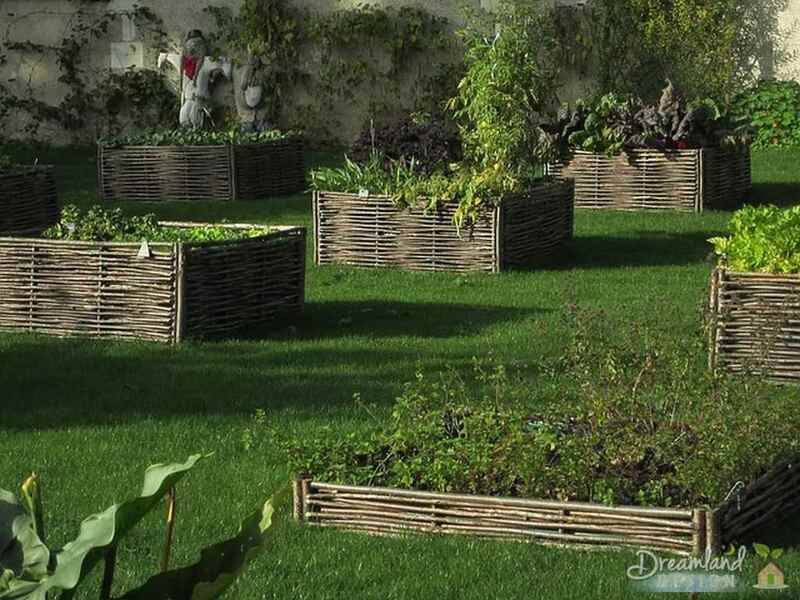 From the spacing requirements above, you would need a garden size of only 54 to 108 square feet. That’s for one person. You can multiply the number of square feet by the number of people you wish to provide tomatoes for. So, for a family of four, you would need a garden size of 216 to 432 square feet to provide approximately 30 pounds of tomatoes per person. How Much Space do Your Crops Need? You can also look at spacing requirements found on the back of seed packets and plant labels to determine the amount of space needed for your other vegetables. For my family, we have a vegetable garden of approximately 800 square feet. In previous years our garden space was only 550 square feet and we always tend to produce more than we need. The main point here is to remember that you can have as big or as small of a garden as you want and that your usable space will allow. I’m always amazed at just how much produce we are able to harvest from our garden and you will likely be too! How Much Work are you Willing to Devote to Your Garden? The second tip I can give you when it comes to determining your vegetable garden’s size involves work. Here I am referring to the amount of work needed to maintain a garden. Digging, tilling, and adding amendments are all preparation considerations. Plus after your garden is in place, you’ll be faced with weeding, watering, fertilizing, and training chores. Don’t go overboard on size if this is your first vegetable garden. You may decide it’s too much work and suffer ‘burn out’ the first year. Remember, there’s no shame in starting small. You can always expand where space and your budget allows. If you have gone through all the steps to choose a great location and size for your vegetable garden, you are now ready to begin site preparation. Although this is where the real physical work starts you should not get discouraged and instead focus on why you want a vegetable garden. This focus should keep you motivated throughout the entire process. If the location you have chosen is currently bare ground then you will want to skip this section which deals with starting from a location that is in sod, weeds, or other vegetation. If the site you have chosen is currently in use, such as a lawn or pasture, you have some extra work to do in order to begin preparing your soil. There are a few ways to clear the current vegetation from your plot. Before I get into the specifics there is one oter step that should be completed first unless you choose to implement the second part of method three below. No matter what your area contains, I suggest mowing it or cutting all the plant material down as low as you can. This will aid in the final removal of your current ground cover. Ultimately, you want all the current plant material to be dead before you start cultivating the soil. The first method, and probably the easiest, is to use a non selective herbicide such as RoundUp. These chemicals will kill all vegetation that they come in contact with. Because of this mode of action it is important that you spray on a windless day and protect your surrounding plants, if any, from accidental exposure. If you do spray a plant that you didn’t intend to, you can save it by quickly rinsing the leaves with copious amounts of clean water. I know many people have adverse opinions to using herbicides or any other form of pesticide. That is just fine. The next two methods for killing the existing vegetation are chemical free. The second method you can use to kill weeds or grass in your chosen vegetable garden plot makes use of the sun’s natural heating. You can cover your area with clear plastic to kill the plants. Simply lay the plastic sheeting over the area and secure in in several locations along the edge and middle regions with rocks or any other heavy material. You can do this in sections if you are limited in the amount of plastic available. Mowing your location first, as I mentioned above, is very important for this method. You want the plastic to be as close to the ground as possible for maximum effect. This method takes longer than the others (approximately 2 to 4 weeks) but is very effective at cooking plants to their death. When using this method you’ll want to water the area thouroughly prior to laying the sheeting. The moisture in the soil will help to hold heat in longer, even into the night. Plus, you’ll also kill weed seeds that may be in the upper one to two inches of the soil! The third and final method for clearing existing plant material from your proposed garden location is the most labor intensive. If the area is currently in sod you can undercut the grass with a sharp, flat shovel and begin to pull or roll it up. Sod cutters are available from tool rental stores that make this job quick and easy. If your vegetable garden plot is covered in weeds you can dig them or pull them up. If you choose to go this route, I suggest not mowing first. You’ll want the have the long stems still intact to get more leverage when pulling. As with the plastic method, watering down the area first will make your job of removing weeds a lot easier. Whatever method you choose to clear your vegetable garden plot your final goal before moving on to the next step should be bare soil that is ready for cultivation. Okay. If you’ve made it this far I congratulate you. You only have a little more to do to make your garden plot ready for planting. But first, let’s consider soil amendments. 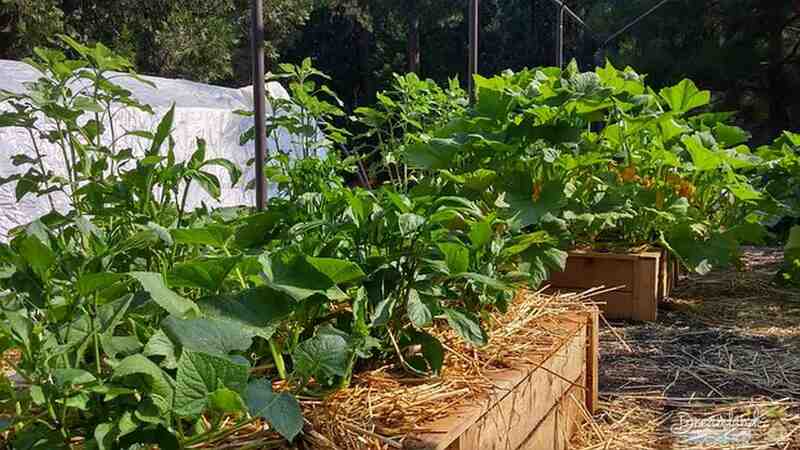 Throughout this blog and the included vegetable crop growing guides you’ll find I write a lot about using organic fertilizers as well as the occasional inorganic forms. If this is your first vegetable garden you would be wise to have the soil in your plot tested for current nutrient and organic matter content. Contact your local Cooperative Extension Service or garden center for advice on taking and submitting soil samples to a lab. This service is usually quite cheap (less than $20 a sample) and can provide you with priceless information on your soil’s current health. You typically receive guidance as well on correcting deficiencies or balancing problems. The last step is a good cultivation. If you own or have access to a walk behind tiller you should make use of this. You want to till the soil to a level of 4-8 inches deep. This will allow for good aeration of the soil as well as mix in any amendments you have added. If you’re breaking new ground, you may even want to till twice just to increase the tilth, or fluffiness, of the soil. I don’t recommend the use of small tillers such as the Mantis style for large gardens. They tend to bounce around alot and don’t break up new areas very well. As a side note, Mantis tillers are great for raised beds that are not compacted. Your new garden should now be ready for planting. Good luck and please comment below on your experiences. I’d love to hear from you!